If you are busy or have a long day at work, Blue Dingo Dog Ranch offers the perfect way to exercise your dog while you’re not at home! Our unique dog daycare service, conveniently located in Issaquah, offers so much more than just dog walking! While at The Dog Ranch your dog plays in his own private dog park: a fully fenced field with other friendly dogs while being supervised by an experienced professional. Your dog is free to romp, chew, fetch, chase, bark, sniff, sprint, wag, and simply enjoy being a dog. The physical and mental exercise gained during playgroups at Blue Dingo Dog Ranch helps ensure your dog is a happy, socialized, well-rounded pup. 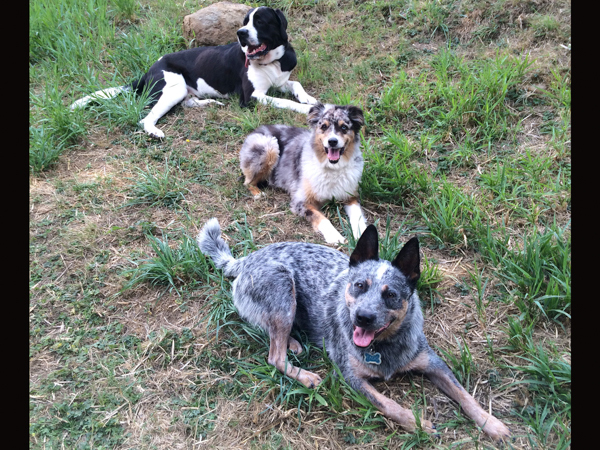 Our dogs are supervised, well behaved, and socialized at Blue Dingo Dog Ranch. At The Dog Ranch we take pride in offering a fun, safe, and social experience for your pet while in our care. Playgroups are always supervised and have a limited number of dogs in each group. All dogs undergo an evaluation for aggression, and to ensure all temperaments are a good match. You can rest assured your pet is around the best of friends, and having a well-rounded experience that offers so much more than with an average dog walking service. The Dog Ranch is the ultimate Dog Camp! We offer a beautiful space for your dog to play at, including a large field, logs to climb on, and lots of trees for shade when it’s time to rest. Can a dog get any happier than this? 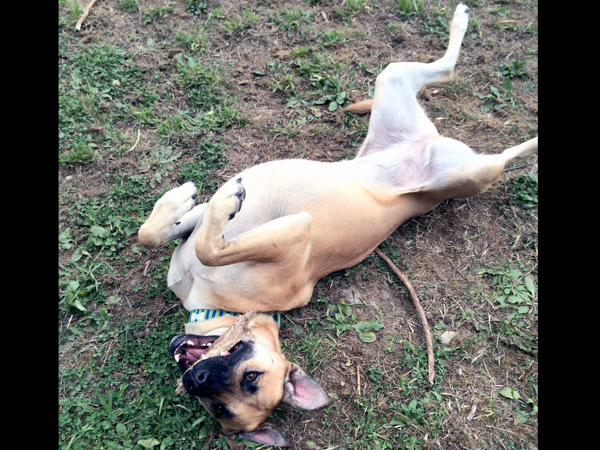 Relaxed and having fun at our dog ranch! Playgroups are offered Monday through Friday, mornings and afternoons (see rates). 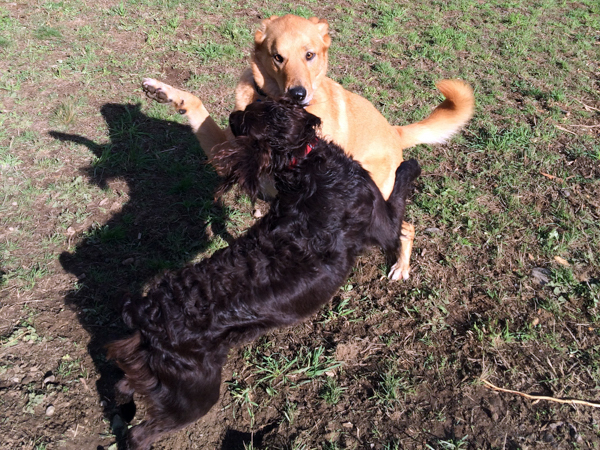 Having fun at the dog ranch!